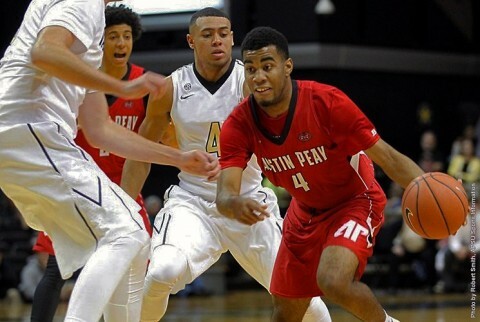 January 2016 Archives - Clarksville Sports Network - Clarksville Tennessee's most trusted source for sports, including Austin Peay State University. 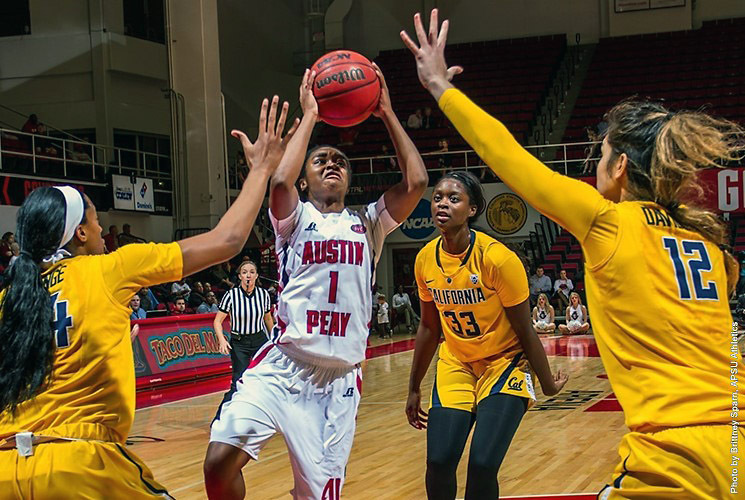 Knoxville, TN – Jaime Nared had a double-double with 17 points and 10 rebounds, Te’a Cooper scored 17 points and No. 19/23 Tennessee stormed past Alabama, 70-42, on Sunday at Thompson-Boling Arena. The Lady Vols (13-8, 4-4 SEC) have won their last 42 games against the Crimson Tide (13-9, 2-7 SEC), marking the third-longest active in-conference winning streak in NCAA Division I.
Tennessee head coach Holly Warlick now has 99 career victories. She will go for win No. 100 on Thursday when UT hosts Arkansas at 7:00pm ET/6:00pm CT on SEC Network +. Alabama’s 42 points were its fewest of the season and the fewest allowed by Tennessee since UT beat Georgia, 75-41, on March 6th, 2015. Knoxville, TN – The #19/23 Lady Vols (12-8, 3-4 SEC) will look to bounce back from two one-possession losses to top 15 teams as they return to Thompson-Boling Arena to take on Alabama (13-8, 2-6 SEC) on Sunday. Tipoff is slated for 3:00pm ET/2:00pm CT, and the game will be broadcast on SEC Network and available online via WatchESPN. The UT women are suiting up for their third game of the week after playing at #12/9 Kentucky on Monday night and at #13/13 Mississippi State on Thursday night. Alabama is doing the same, having played at Vanderbilt on Monday night and at home vs. #10/10 Texas A&M on Thursday night. Clarksville, TN – Austin Peay State University men’s tennis team dropped a narrow 4-3 decision against Chattanooga in its season opener, Saturday. 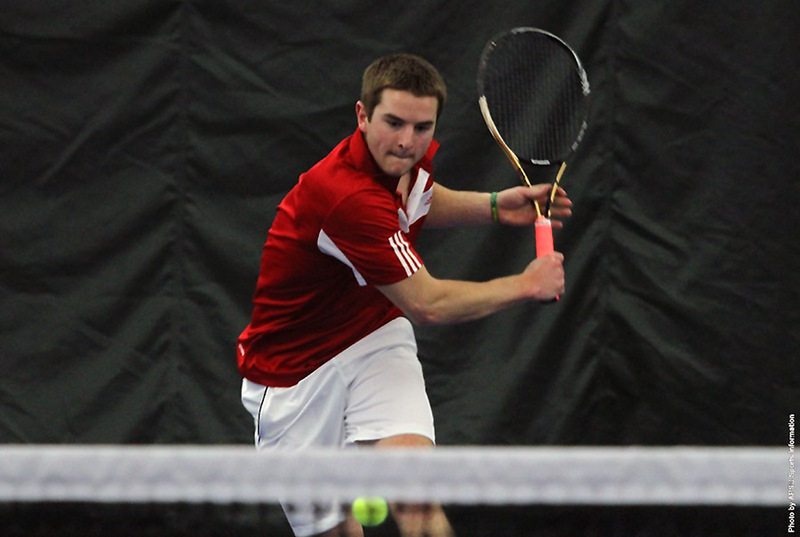 The Governors began the day finding success in doubles play, leading to a much-needed point. Juniors Aaron Jumonville and James Mitchell knocked off Pablo Llebeili and John Peacy, 6-2, to set the tone at the No. 1 position. Cape Girardeau, MO – Josh Robinson scored 30 points, including the go-ahead jumper with 2:56 left, as Austin Peay State University claimed its first Ohio Valley Conference road win with an 86-80 victory, Saturday afternoon, in men’s action played at the Show Me Center. Huntington, WV – It’s safe to say that senior Kymmalett Ross really likes the Jeff Small Track at the Chris Cline Indoor Athletic Facility. 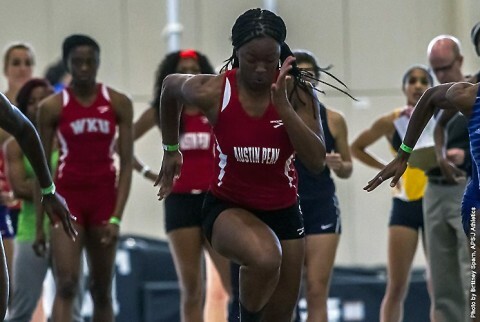 Saturday, Ross equaled Erika Adams‘ school record 60m dash with a 7.61 mark, earning runner-up honors in the event. Fort Worth, TX – It was a tale of two halves in Tennessee’s 75-63 loss to TCU on Saturday afternoon at Schollmaier Arena in Fort Worth. The Vols led by 14 points at halftime but were outscored by 26 in the second half as the Horned Frogs held them to a season-low 22 points over the final 20 minutes. Kevin Punter Jr. scored a game-high 24 points to lead the Vols in scoring for the 16th time this season and freshman forward Kyle Alexander provided a nice boost off the bench, posting career highs with 11 rebounds and six blocks. The Big Orange turned in a dominant first-half performance and put on a 3-point shooting clinic, making 8 of 16 attempts from long range. Punter led all scorers with 15 points at the break as UT went to the locker room with a 41-27 lead. 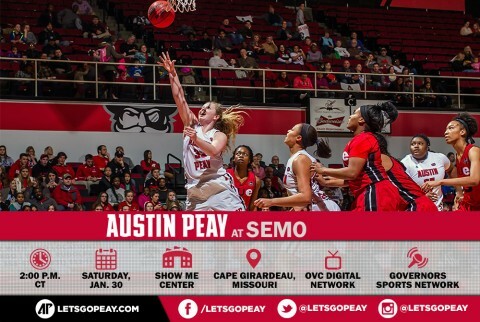 Cape Girardeau, MO – Back and forth, possession after possession, Austin Peay State University women’s basketball team battled Southeast Missouri, Saturday. Neither side ever led by more than six points in a game that seemed destined to go down to the wire. 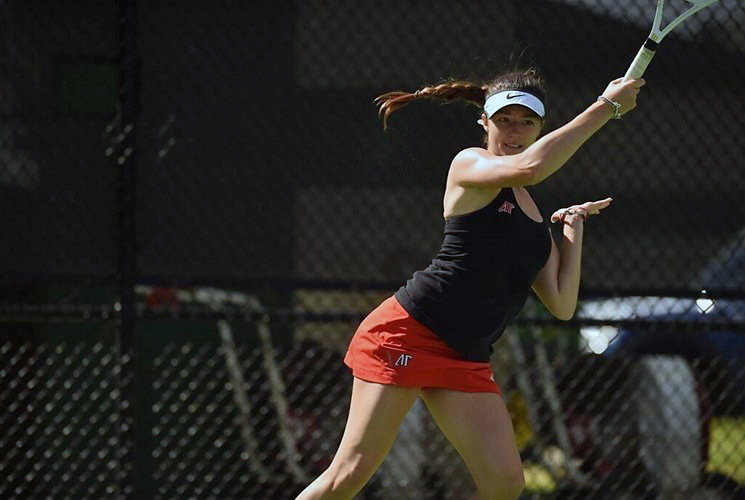 Clarksville, TN – In its opening night of matches, Austin Peay State University women’s tennis team rolled over Evansville, 6-1, Friday at the Governors Tennis Center. Cape Girardeau, MO – Austin Peay State University women’s basketball team begins a crucial four-game Ohio Valley Conference road trip when it meets Southeast Missouri in a 2:00pm, Saturday contest at the Show Me Center. 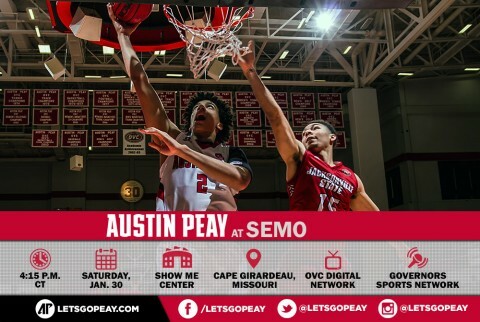 Cape Girardeau, MO – Search for that elusive first Ohio Valley Conference road victory will take Austin Peay State University men’s basketball team to Southeast Missouri, 4:15pm, Saturday, and the Show Me Center. The Governors, 9-14 overall, enter the contest 0-3 in OVC road games and 2-6 in the league overall. They own the same OVC mark as Southeast Missouri.